If youÂve never been to Belize, there's a perfect way you can now experience its natural beauty - before you come for a visit.Â You need only view ÂHeavenly BelizeÂ. Â Marius JovaiÂa first published this stunning book in 2009.Â It was recently updated.Â But this time he also created a teaser U-Tube video to showcase a selection of the spectacular aerial photos included in his book. "I have been fortunate enough to visit many countries in the world. While each has its distinctive charms, I have to confess that Belize is as unique a place as I have ever seen. I hope that in this book I have successfully conveyed the country's special attraction. Have an inspiring flight above Heavenly Belize! Using an ultra-light aircraft, originally designed for National Geographic assignments in Africa, Marius traveled the length and breadth of Belize.Â He was able to capture images ranging from towering jungle covered mountains and ancient Mayan cities to the 400 foot deep Blue Hole at Lighthouse Reef. MariusÂ love affair with Belize began with an invitation from an old friend heÂd met in Hawaii. 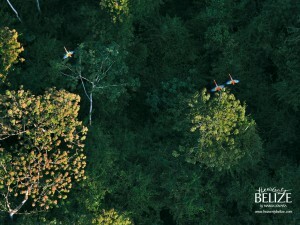 Â Having relocated to Belize, his friend invited him to visit Â and to take some aerial photos. By the time he returned from his first trip in the summer of 2008, Marius was compelled to Â create a photographic record of his experience.Â After viewing the beauty of Belize from the cockpit of a soaring ultra-light aircraft, he couldn't help but share his vision with the world. Each stay put him in closer touch with a collection of incredibly friendly, sincere and diverse Belizean people. Â He was inspired. with dashes of Europe and Asia thrown into the mix. With pine forests resembling those of Canada, limestone hills reminiscent of Thailand and green lakes evoking memories of his fatherÂs Lithuania, he perceives Belize as a country that puts forward many different faces. With undisturbed rainforests, enormous cave systems and the hemisphereÂs longest barrier reef, MariusÂ goal was to capture how Belize offers visitors a mind-boggling variety of worlds to endlessly explore. He was born in Vilnius, Lithuania. 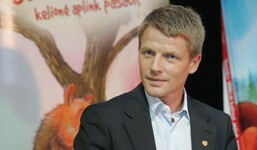 ÂHeavenly BelizeÂ is his second big album of aerial pictures .Â His first book, ÂUnseen LithuaniaÂ, was published in 2008.Â It became a bestselling book. MariusÂ photographic exhibitions have been displayed in Australia, the USA, Canada, Argentina, Japan, Spain, Germany, Ireland, Italy, France and many other countries. Marius is also trained as a historian.Â So it was a meaningful discovery for him to learn of BelizeÂs Mayan heritage. Â Less well known than those found in neighboring Mexico and Guatemala, the ancient cities of Belize lie more subtly hidden from view. He hopes that his photographs of these magnificent stone temples rising from the jungle floor will convey the same sense of awe that he felt while flying over them.